The SP FastResponse benefits from Dunlop Touch Technology – a set of advanced features that deliver a more tactile and responsive drive. A flatter tread profile puts more rubber in contact with the road, for precise handling on wet and dry. The link between tyre and rim is strengthened, enhancing road feedback. Enjoy reliable handling on wet roads. The SP FastResponse features wide grooves that rapidly disperse water in rainy weather, reducing the risk of aquaplaning. The tread compound contains high amounts of silica to increase wet grip, resulting in shorter braking distances. 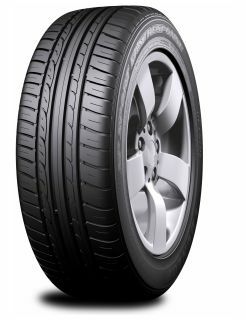 With enhanced road feedback, the tyre responds faster to steering and cornering maneuvers. The asymmetric tread features a stiff shoulder block to maintain stability when cornering. Pressure is evenly distributed across the tyre contact patch, leading to smoother transitions from straight to corner.